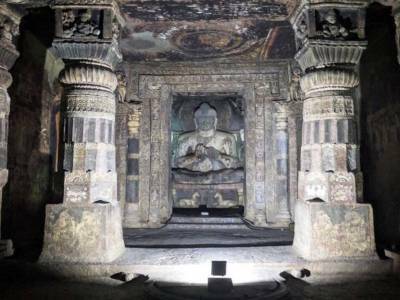 The rock cut monuments of Ajanta Caves are found in the hilly outskirts of the Aurangabad City in the Indian State of Maharashtra. It is one of the most exquisite forms of human artistry that dates back to a time when technology was not at all very well developed. It is found that the earliest of the such instance dates back to as early as the 2nd century Before Common Era and is found to been in the developing till the fag end of the 5th century into the Common Era. The main motive of this rock cutting was to establish the vigour of the sculpting of the then kingdom and to preach the teachings of Buddha. 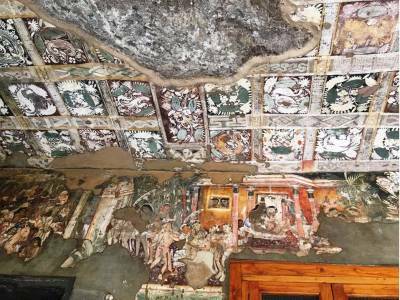 Yes, the Ajanta Caves host as many as 29 rock cut monuments of Buddhist form along with many rock sculptures, rock painting, engravings and murals. It is believed to be the works of the Satavahana Rulers of Indian History. 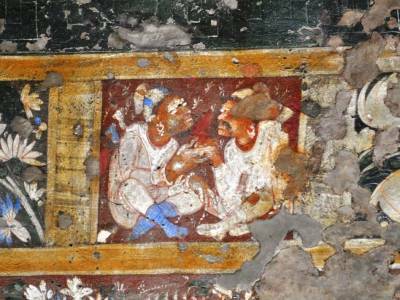 There are many monasteries, prayer halls, domes and other decorated caves in this Ajanta Cave system. The serenity and magnitude of these caves attract the tourists to this place. 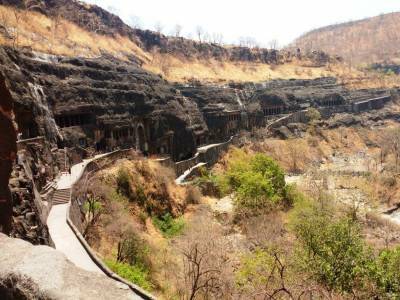 The Ajanta Caves is also a conservation site of the Archaeological Survey of India (ASI) and designated World Heritage Site of UNESCO listings. This is a great place for tourist attraction for travellers visiting Maharashtra. The place is quite accessible by road and other modes because of its vicinity to the Aurangabad City. 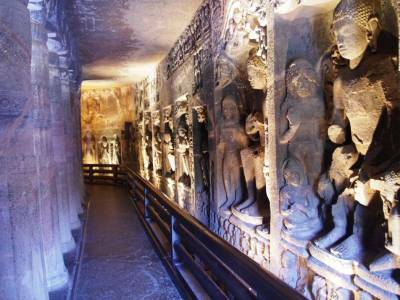 Get quick answers from travelers who visit to Ajanta Caves.